Cool ‘stache, Bro! Rock on! Primates of the human variety like many different types of music – from classical to rap to country to rock- but monkeys are a little pickier. Researchers in Bejing have recently found that monkeys were calmed by heavy metal while ignoring other kinds of music. via Tamarin Monkeys Rock Out To Metallica. 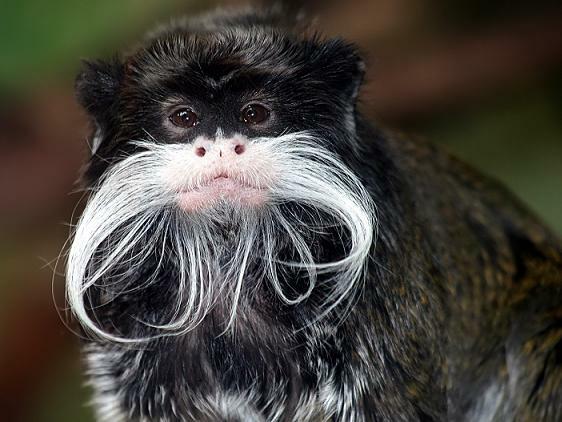 September 13, 2009 Posted by oldstersview | animals, cool stuff, Pictures	| monkey, tamarin monkey | Comments Off on Cool ‘stache, Bro! Rock on!